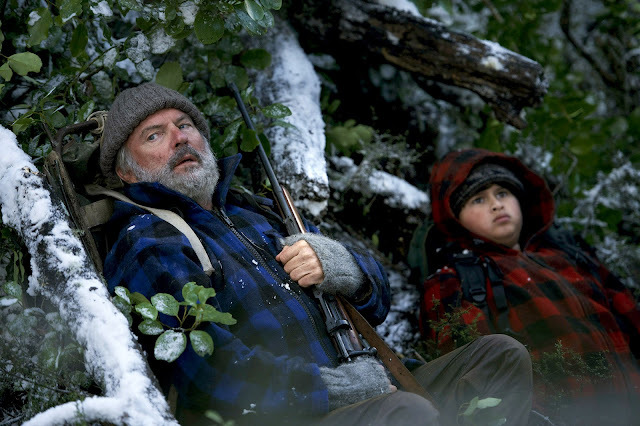 Having moved out of the city, a young reprobate by the name of Ricky Baker (Julian Dennison) and his reluctant foster father, Hec (Sam Neill), finds themselves at the centre of a ruthless manhunt after they get stranded in the New Zealand wilderness. Following on from the success of What We do in the Shadows (2014) and cult classic, Eagle vs Shark (2007), New Zealand director Taika Waititi returns with what can only be described as the ultra-pleasant. Hunt for the Wilderpeople follows the story of a precocious juvenile, Ricky (Dennison), as he is relocated to a new foster family in the rural outbacks of New Zealand. Having been reluctant to settle at first (and following several failed escape attempts), Ricky finally manages to find his feet with Bella (Rima Te Wiata - Housebound, 2014) and her husband Hec (Neill). However, when tragedy strikes and child services enter their lives once more, Ricky decides to run away for good but finds himself lost in the wilderness - leading the press to believe he was kidnapped and making Hec a wanted man. 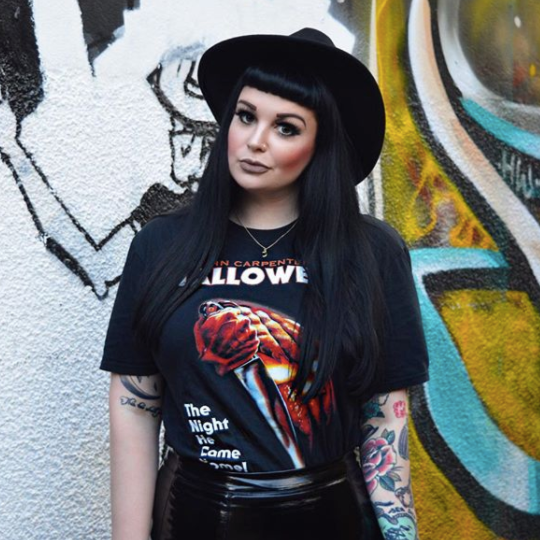 Forced on the run from police and dogsbody social worker, Paula (Rachel House - Eagle vs Shark), the pair embark on an endearing adventure as outlaws. 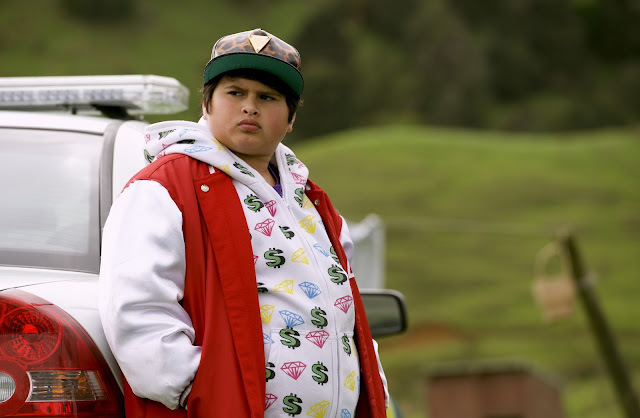 Whilst Hunt for the Wilderpeople is primarily sold as a comedy, there is also a great deal of heart. Based on the book Wild Pork and Watercress by Barry Crump and compiled of some genuinely moving scenes, our tale is divided in to chapters. Ricky himself is the basis of a lot of the comedic value but as we learn more about his and Hec's past lives and, in particular, Ricky's up-bringing, we gain a better understanding of a child lost in the system. Dubbed a nuisance to society and written off by Paula, Ricky is nothing more than mildly misguided - a child crying out for attention. 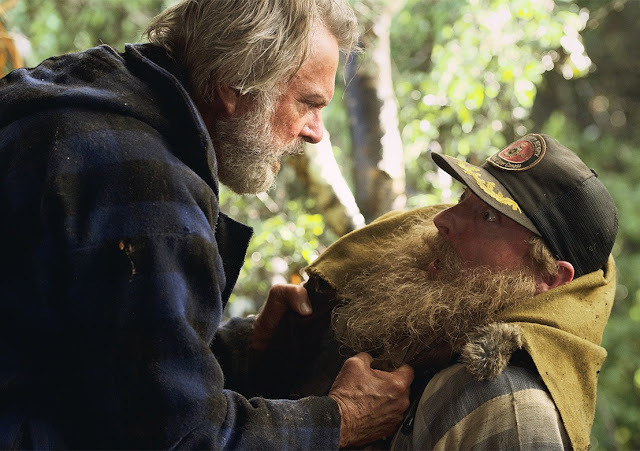 The film itself can be seen to make a statement with regards to the child care system yet does so in a way that provokes a reaction and avoids offending. Ultimately, this underlying seriousness does well not to distract from the main narrative. By extension of the film's endearing sweetness (which the director proves he does oh so well), Waititi has successfully established the middle-ground between drama and comedy. In terms of narrative, Hunt for the Wilderpeople is nothing new. We've seen a similar building block structure many times before through the likes of Goodnight Mr Tom (Jack Gold, 1998) and Free Willy (Simon Wincer, 1993). However, besides it's obviously very talented cast and a rollercoaster of emotions, what seals the deal with Wilderpeople is the fact that it is just beautiful. 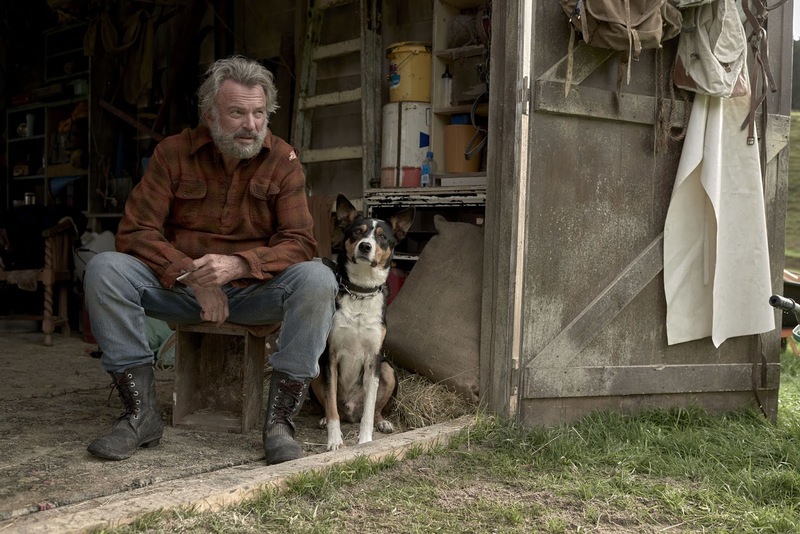 Shot on various North Island locations, Waititi successfully makes full use of the spectacular scenery at hand even going so far as to add Wes Anderson-esque visuals with jump cuts and spatial symmetry. With help from, Lachlan Milne, Waititi amerces us within an endearing retro mise-en-scene enforced further by an 80's style original score. Whilst the film's tone of voice differs greatly from any of Waititi's previous works, there are constant reminders of his auteurism. In the true style of the director, we see the return of many familar faces including Rhys Darby and of course the man himself, as a church minister, in possibly one of the most amusing scenes in the entire film. 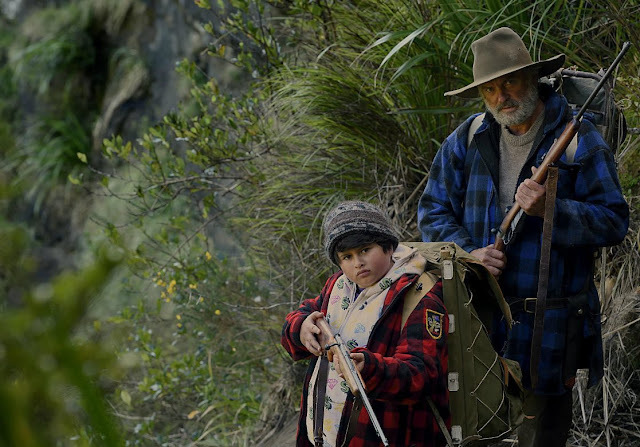 With a stunning cast, excellent script and cinematography, Hunt for the Wilderpeople gets a Sophie star rating of 5 out of 5 stars - another triumph for indie director, Taika Waititi. Well, that's it for another Popcorn and Glitter film review. I had been waiting such a long time for this movie and so naturally lept at the chance to see it before it hit cinemas. Hunt for the Wilderpeople is in UK cinemas on 16th September and I cannot recommend it enough. If you want to laugh, get slightly teary eyed and just see a wonderfully nice film - this is it. This sounds lovely and really amazing! I will have to see it! Five stars from you is high praise, Sophie! I'll have to see it when I get a chance. The New Zealand movie trailer looks more intriguing than the US one as it shows more intensity and has a Terminator joke at the end. I have fallen HARD for everything Waititi does, so naturally I'm incredibly excited about this and can't wait to see it. I actually shared a couple of illustrations I did of Eagle Vs. Shark yesterday on my blog! 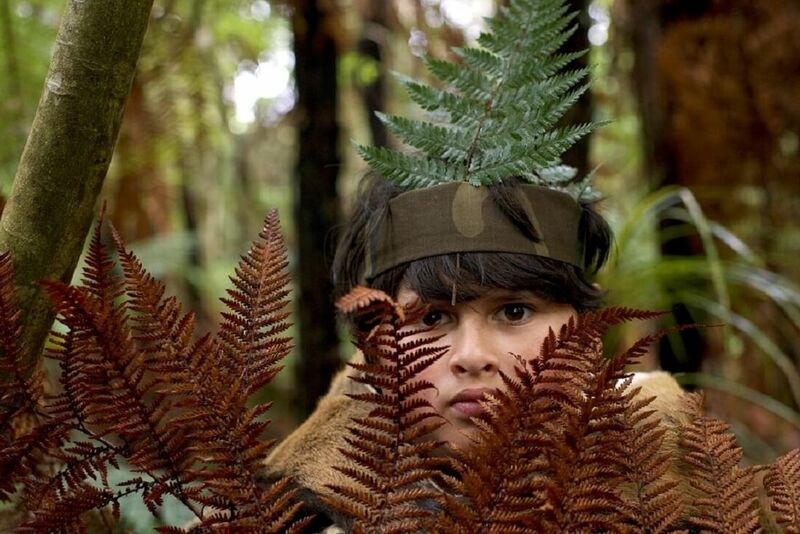 After reading your lovely review for Hunt for the Wilderpeople, I have to say...I'm even more excited about seeing it :) I can't wait!